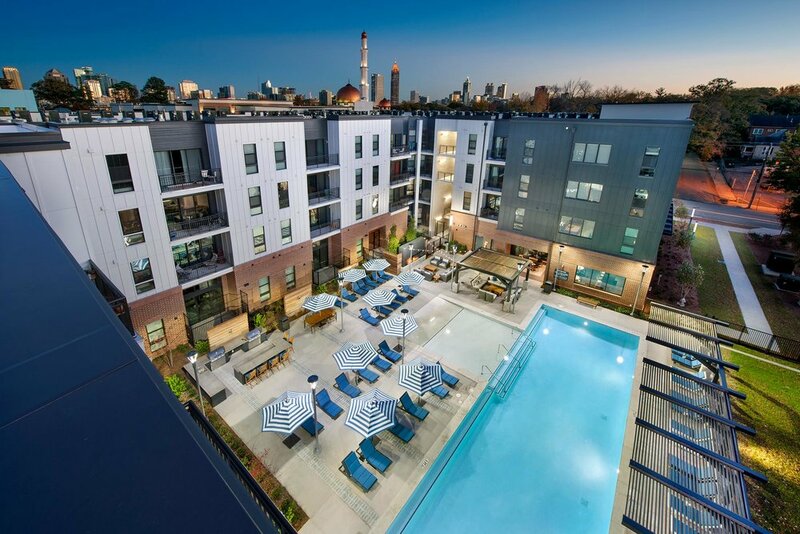 Integrated into the Home Park neighborhood between Georgia Tech and Atlantic Station, The Local on 14th seeks to build on the character of the Westside Provisions district while providing a timeless design for its residents. The façade interplays between heavy and light, providing dramatic moments of masonry floating over glass that gives The Local an impressive street presence. 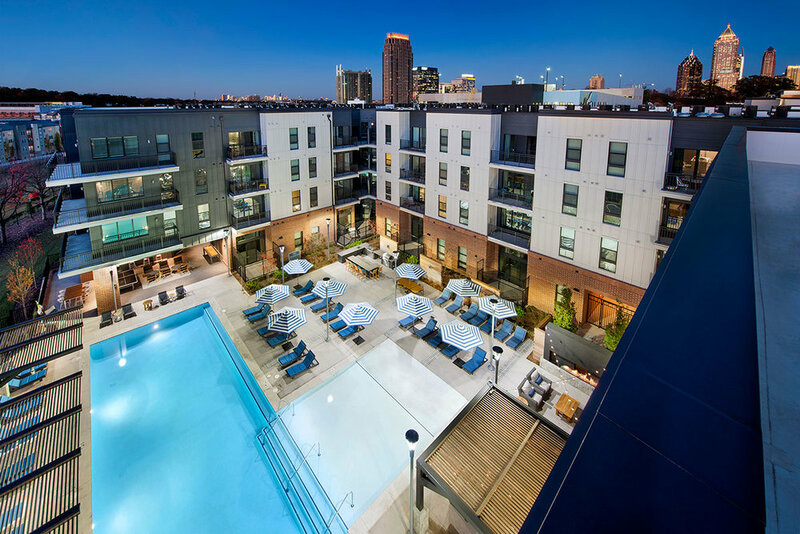 360-units in one, two and three-bedroom configurations provide a range of options for tenants, including views overlooking the pool, four different courtyards, adjacent golf course and nearby downtown or midtown skylines. Ground floor units are all walk-outs to promote connectivity with the surrounding neighborhoods, helping the development embed into and extend the Hope Park street grid. The materiality speaks to the Westside Provisions district, resulting in a successful attempt to weave the two neighborhoods together.